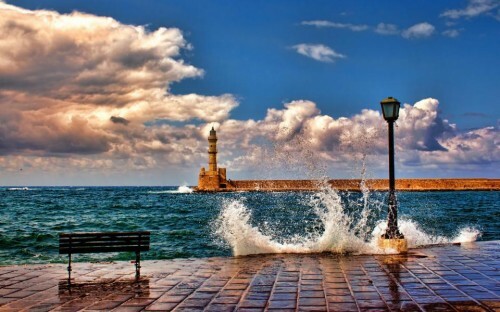 Cheap vacation in Crete: 1 week in 4* hotel & flight for €187! German website ab-in-den-urlaub.de now offers super cheap vacation in Greek island Crete! 1 week stay in great 4 star hotel with return flight from Germany is now available from only €187! The cheapest flights are from Memmingen/Algau airport which is located around 1 hour from Munich. You can also fly from Bremen or Munich for slightly higher price. The four star hotel Manolis is located in popular party city Malia. It is located 1 kilometer from the beach but you can enjoy huge swimming pool directly in the hotel. Stays with breakfast are also available for just few Euros more. Transfer is not included but you can easily solve this by renting a car or using the publich transport. You will also get €75 voucher for your next vacation. « Only today: Cheap flights to Martinique for only €446!